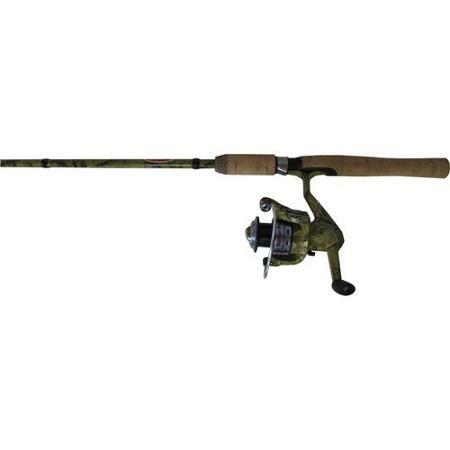 HT Jimmy Houston Fish Hinter Pro DX, Super sensitive 36 ton IM-6 blank, deluxe camouflage patterned finish on both rod and reel. Contoured genuine cork handles. Premium aluminum oxide guides. Ultra smooth 4 bearing infinite anti-reverse reel with machined aluminum spool with comfortable soft rubber paddle. HT Jimmy Houston Classic Fish Hunter has a super sensitive graphite composite blank. Deluxe camouflage patterned finish on rod rod and reel. Contoured genuine cork handles. Premium aluminum oxide guides. Ultra smooth 3 bearing infinite anti-reverse reel with comfortable soft rubber paddle. Discover Jimmy Houston Spinning Combos! Shop Extacklestore for HT Enterprises Jimmy Houston Spinning Combos.